People experiencing depression may have a viable option to medication if studies into soil microbes are correct. Researchers have discovered that a bacterium in the soil called Mycobacterium Vaccae activates neurons that stimulate serotonin production. M. Vaccae works in a similar way to antidepressant medications but anyone can access it for free, it has no side effects and it doesn’t create drug dependency. Can Soil Really Make a Difference to Mental Health? Researchers say it can and given recent statistics, the mental health charity MIND say that approximately 1 in 4 people in the UK will experience a mental health problem each year, it’s of paramount importance that people struggling with mental health have options to improve their quality of life. Mental health affects how people feel, act and think. It’s an issue becoming more prominent as mental health awareness campaigns push our perceptions of what mental health is and how it affects millions of us in different ways. That’s why it’s so exciting that natural antidepressant microbes have been identified in the soil beneath our feet. A natural antidepressant treatment people can access at any time can only be a good thing. 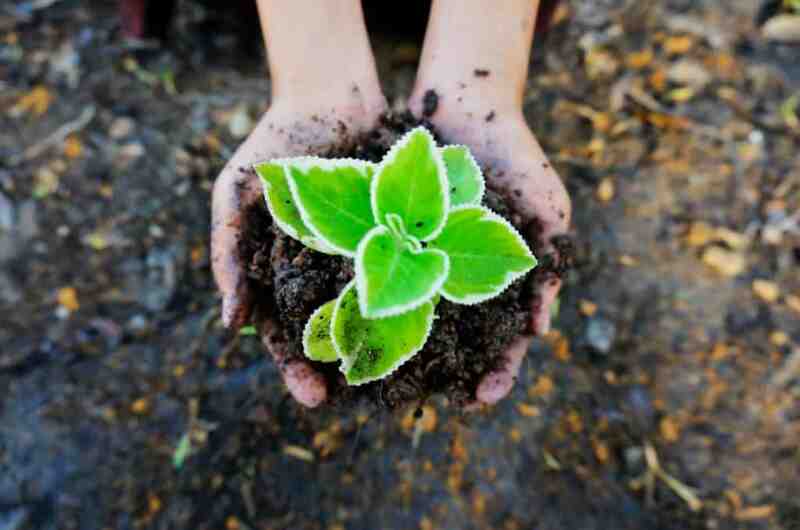 Gardeners have known about the healing power of soil for years. There’s nothing like fresh air and contact with the garden to boost their spirits. Soldiers returning shell-shocked from the trenches of WW1 found solace in the hospital gardens, and today gardening still remains “horticultural therapy” for all kinds of mental health issues. Research suggests that gardening increases an individual’s life satisfaction, their psychological wellbeing, their sense of community, and increases cognitive function. Could it all be down to a common little bacterium called Mycobacterium Vaccae? In 2004 an oncologist at London’s Royal Marsden Hospital discovered an unusual side effect from an experiment she was undertaking. She had been injecting lung cancer patients with M. Vaccae to see if it affected their condition. This harmless and very common bacterium was thought to strengthen the immune system, but it didn’t help the cancer. Instead patients taking M. Vaccae reported feeling happier, they could think more clearly and had more vitality. It may not have treated their cancer, but it treated their mental health, an extremely important factor in end of life illness. A neuroscientist called Christopher Lowry took up the research at Bristol University testing M. Vaccae on mice behaviour in stress tests. He found mice inoculated with the bacterium performed better in tests, and they were less anxious. Lowry believes M. Vaccae activated the neurons responsible for their serotonin production. Other neurons affecting the immune system responded too. Further research in the USA also tested M. Vaccae on mice, measuring their ability to navigate a maze once fed the live bacterium. This research found mice taking M. Vaccae completed a maze twice as quickly as their unvaccinated counterparts, and had less anxiety whilst doing so. The researchers think that M. Vaccae activates a group of neurons that produce the brain chemical serotonin. A lack of serotonin has been linked to depression and anxiety plus other mental health diseases including obsessive compulsive disorder, bipolar problems and Alzheimer’s. If the serotonin boosting effects in mice are replicated in humans, as suggested by the results from lung cancer patients, then soil is rich source of natural anti-depressants we can benefit from. What is Mycobacterium Vaccae ? So what is this antidepressant in the soil exactly – and how can a bacterium be good for you? Aren’t bacteria dangerous? There are types of bacteria that cause disease and those that don’t. 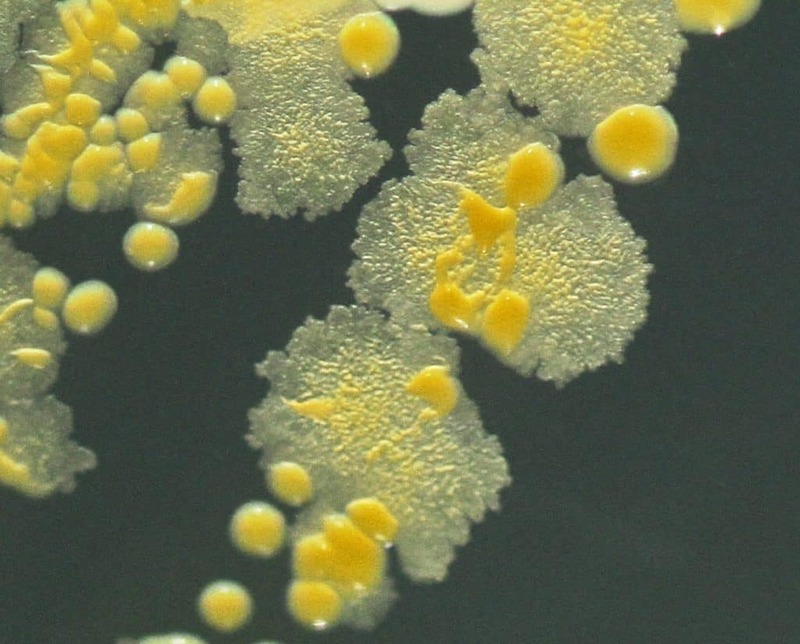 M. Vaccae is the latter – one of the non-pathogenic organisms. It’s a species of the Mycobacteriaceae family that’s found in plain soil, you don’t need to go looking for it, because it’s abundant in your own back garden, in parks, and open spaces. There are a lot of different bacteria in the soil, in fact one teaspoon contains between 100 million and 1 billion bacteria. Bacteria improve the soil, changing it so plants can thrive – in effect it feeds the world. What Else Is In The Soil? The soil is a rich environment of life, we’ve spend millennia living on it, eating the food it grows and interacting with its microbes, so perhaps it’s no wonder that the increase in mental health problems runs alongside the increasing urbanisation of our culture. Researchers are starting to link poor health with a lack of outdoor time. Studies show that children in particular are at risk of asthma, allergies, and a weak immune system when they lack interaction with the natural world. The NHS reports that since 1990 there has been a 700% increase in children hospitalised due to anaphylaxis caused by food allergies, and it’s thought at least 5-8% of children have a food allergy. It seems we are just too clean – this behaviour even has a name ‘the Hygiene Hypothesis’. Our use of antibacterial products such as hand gel, kitchen wipes and even toilet paper has left us without adequate defences, not to mention the overuse of antibacterial medications. Studies have highlighted how early exposure to a variety of microbes leads to a stronger immune system. For example, one such study indicated that Bavarian farm children had significantly lower rates of asthma than their neighbours. This leads to the fact that some organisms in the soil may actually be necessary for our health, vaccinating us against diseases and strengthening our immune systems. Time spent in the soil is time well spent – it vaccinates us from an early age by allowing a wide variety of organisms to affect our immune systems. When this doesn’t happen our bodies are inexperienced, unable to identify real threats and they just can’t cope. This overarching lack of contact with our environment now has a name ‘nature deficiency disorder’ and the only way to beat it is to escape our sterile indoor environments and get back in touch with our rural, crop growing roots. Of course, the great outdoors will also boost your levels of vitamin D synthesised from sunshine to strengthen bones, and treat Seasonal Affective Disorder, a form of depression caused by a lack of light. And let’s not forget exercise, because moving around outdoors also burns off the calories that contribute to our increasing obesity problems. 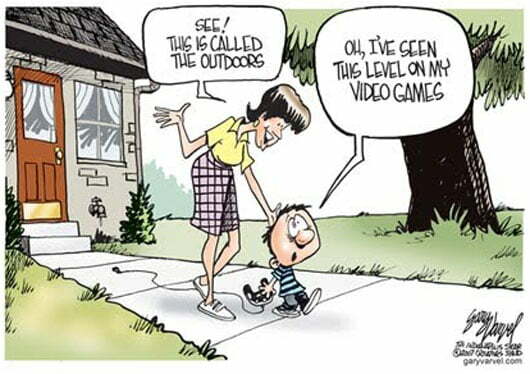 There are no drawbacks to being outside. You can increase your intake of natural M. Vaccae, by gardening. Gardeners breathe in bacteria as they move soil and it gets into cuts on their hands. Outdoor activities such as walking, cycling, and running increase our contact with the outside world and the health boosting bacteria it contains. You can eat M. Vaccae too by growing your own vegetables, fruits, berries and apples which all carry traces of M. Vaccae. If you can’t grow your own, buy them at a farmer’s market, where food has been grown locally and not passed through the arduous process of supermarket cleanliness and travel. You might also want to cut out antibacterial product use and let your body use traces of bacteria to build a proper immune system, which is especially important for children. Long-time gardeners always say that spending time among their plants is therapeutic, so finding a natural antidepressant present in the soil will come as no surprise. Breathing in and touching the soil may be good for health and it goes some way to explain why gardening is so addictive, why the fresh earth smells so good and why many of us feel down in the winter months. Let’s hope further research uncovers how soil bacteria can help us regain some of our natural heath, and improve the lives of those with depression, but in the meantime spending time in the garden can only increase your chances of feeling good.